1) Finding a book that's worthy of filling the void left by it's predecessor. 2) Watching Niles play with the empty boxes that his catnip-filled toys came in. I panic when I'm down to one stick of butter. Butter deserves to be at the top. 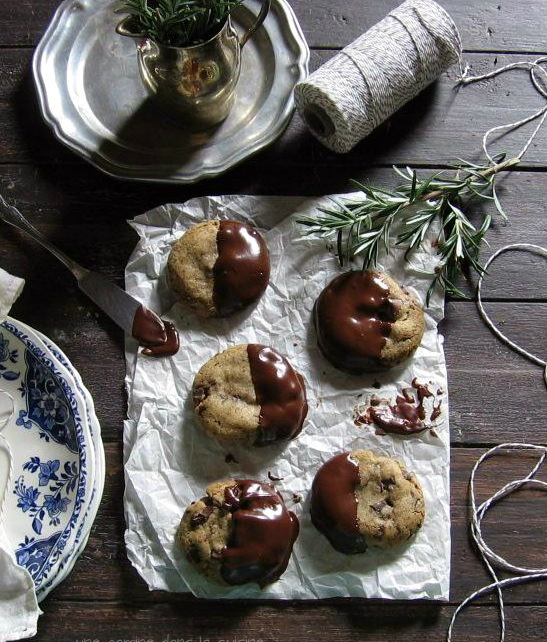 Daring Bakers go retro this month! 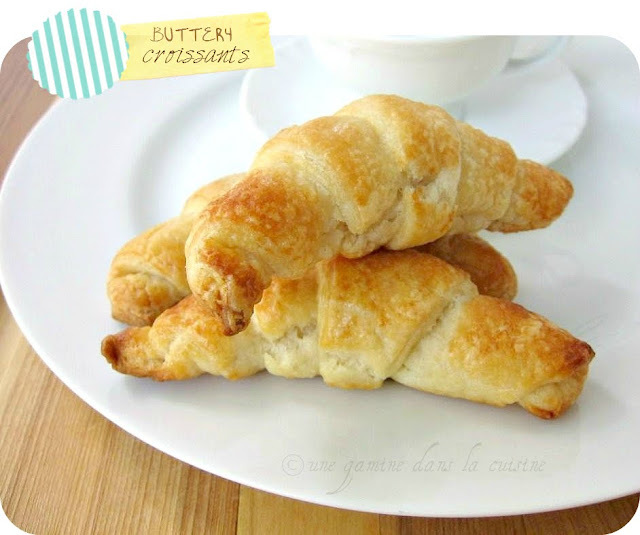 Thanks to one of our very talented non-blogging members, Sarah, the Daring Bakers were challenged to make Croissants using a recipe from the Queen of French Cooking, none other than Julia Child! This recipe was a lot easier than the cinnamon croissant rolls that I made last summer, and it's the third time that I've had the pleasure rolling smashed butter into satiny dough. If you're looking for a friendly introduction to the world of croissant and puff pastry dough, this one is for you. All you need is patience, a well-floured surface, and a no-fear attitude. And, if you're like me, a willingness to run several miles in order to balance out the amount of heaven that you'll likely you will inhale when you're finished. Butter makes everything beautifully better. 8. Knead the dough eight to ten times only. The best way is as Julia Child does it in the video (see below). It’s a little difficult to explain, but essentially involves smacking the dough on the counter (lots of fun if you are mad at someone) and removing it from the counter using the pastry scraper. 12. Place the dough on a lightly floured board or counter-top, and use your hands to press it out into a rectangle about 8 by 12 inches (20cm by 30cm). 15. Leave the dough to rise for another 1.5 hours, or until it has doubled in size. This second rise can be done overnight in the fridge. 23. Remove the butter from the board, and place it on the top half of the dough rectangle. 24. Spread the butter all across the top two-thirds of the dough rectangle, but keep it 1/4 inch (6 mm) across from all the edges. 33. Roll the dough package out till it is 14 by 8 inches. 40. Roll the dough out into a 20 by 5 inch rectangle (51 cm by 12 1/2 cm). 43. Roll the second rectangle out until it is 15 by 5 inches (38 cm by 12 1/2 cm). 55. Spread the egg wash across the tops of the croissants. Beautiful croissants! Very well done. I have to try that recipe. Kudos for making this recipe! I have never been daring enough to try homemade croissants. 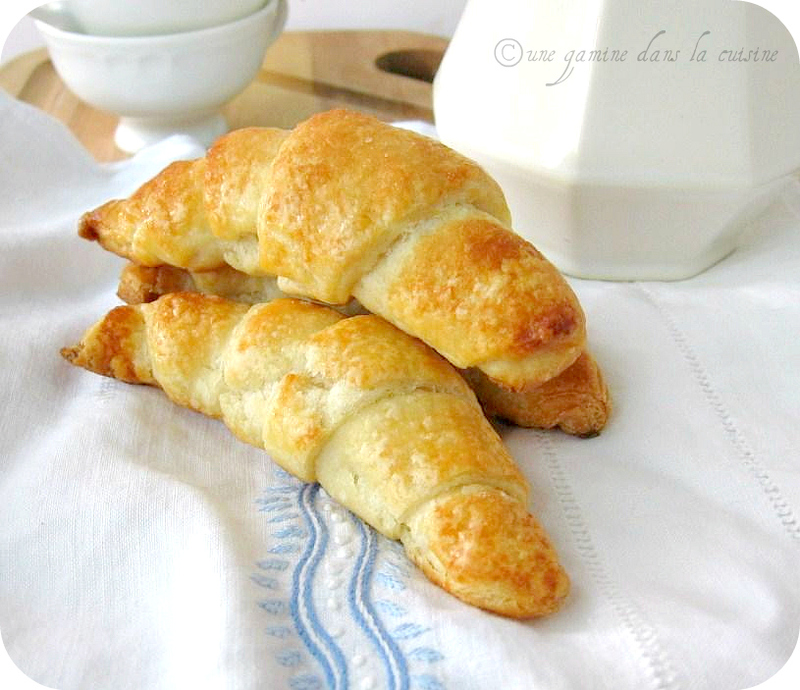 Were they the best croissants ever? These look awesome. I'm a bit worried about the 57 steps involved, but the finished product does look worth the effort. You truly are a daring baker! I don't think there is anything better than croissants. Lovely croissants! I am going to have to try out the cinnamon filling you made before with this recipe, it sounds divine! 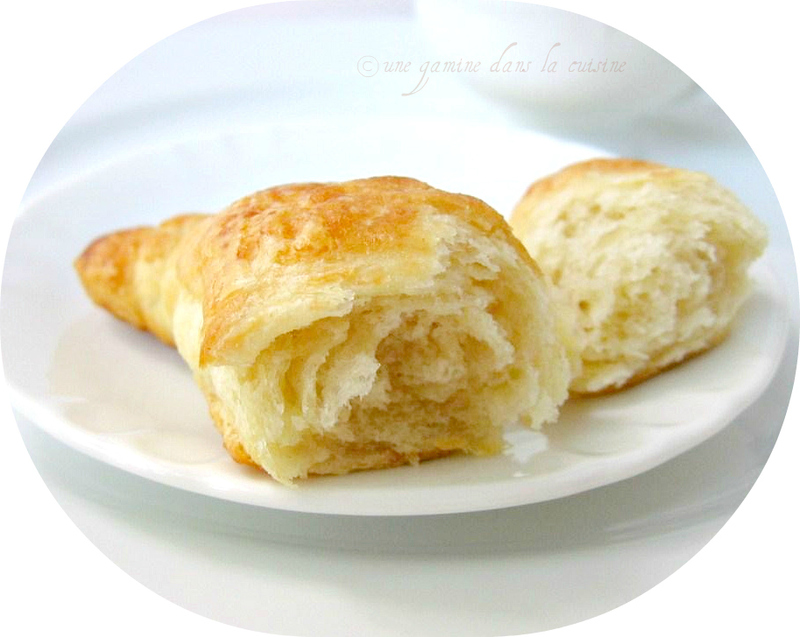 Beautiful, light and flaky croissants. They almost look ethereal..angelic, perhaps? Not angelic on the hips, though..but totally worth every inch! Your croissants look fantastic and your photography is just stunning. Ha I love your list of mood boosters--so true! The croissants look delicious! Do visit my humble space.